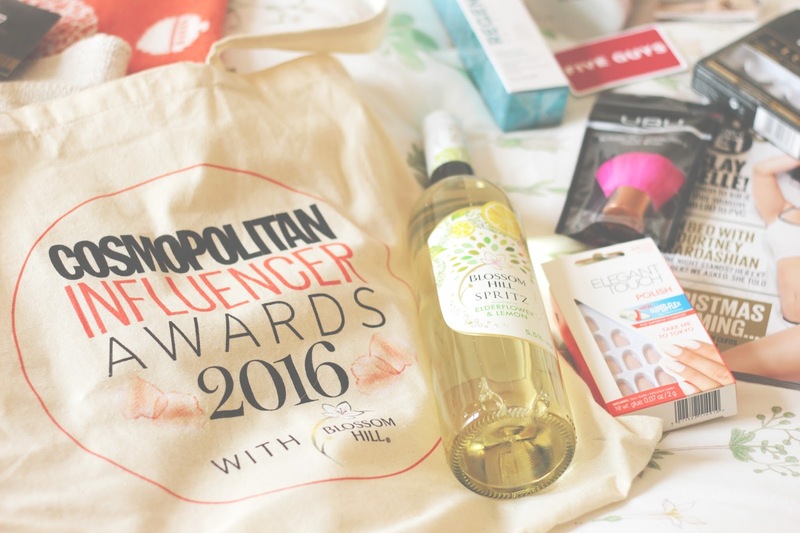 Cosmopolitan Magazine Influencer Awards Goodie Bag. Today I thought I would give you an isight into the goodie bag from the awards night. 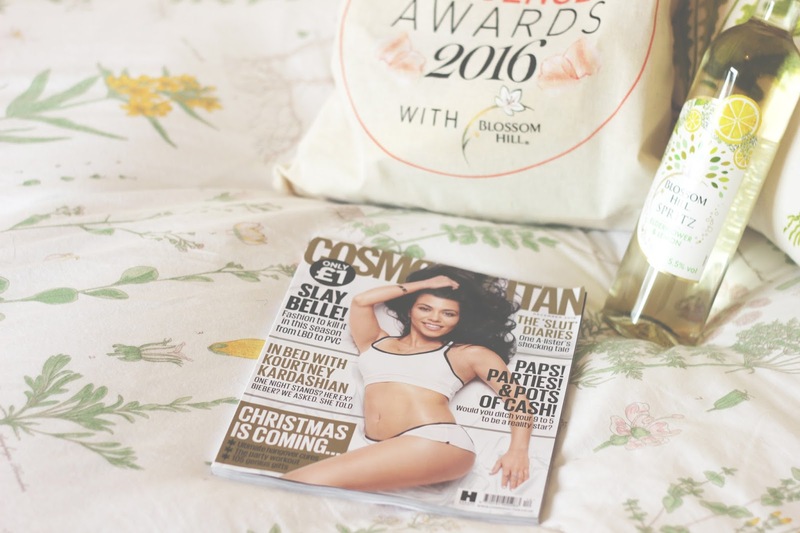 I just want to thank Cosmopolitan and the sponsors for such a lovely night and for filling the bag full of goodies. You can see my night at the awards here, I had the best night of my life there and to be surrounded by influencers was incredible. Being shortlisted from 10 000 nomination to the category Influencers choice award meant the world to me, thank you. 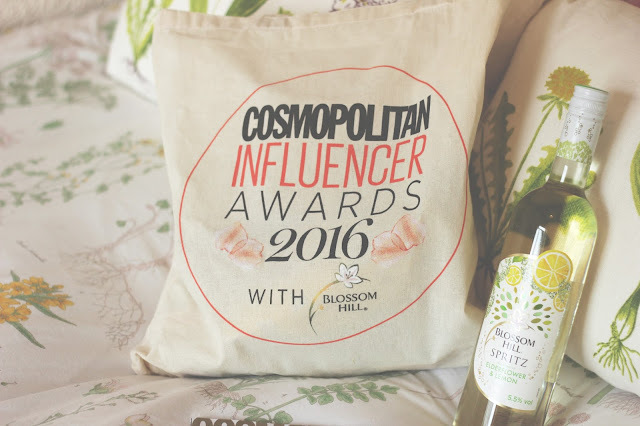 So inside the goodie bag the sponsors Blossom Hill kindly gave us each bottle of the Elderflower and lemon spritz. During the awards I drank a couple glasses of this and I can confirm I enjoyed it, this is coming from a non drinker. I was excited to see a Kabuki Brush inside the goodie bag, I am always happy to have new make up brushes. The toothpaste weirdly is something I am so exited to try out, it helps to restore original whiteness. So this was a great piece in the goodie bag, along with the Five Guys gift card. 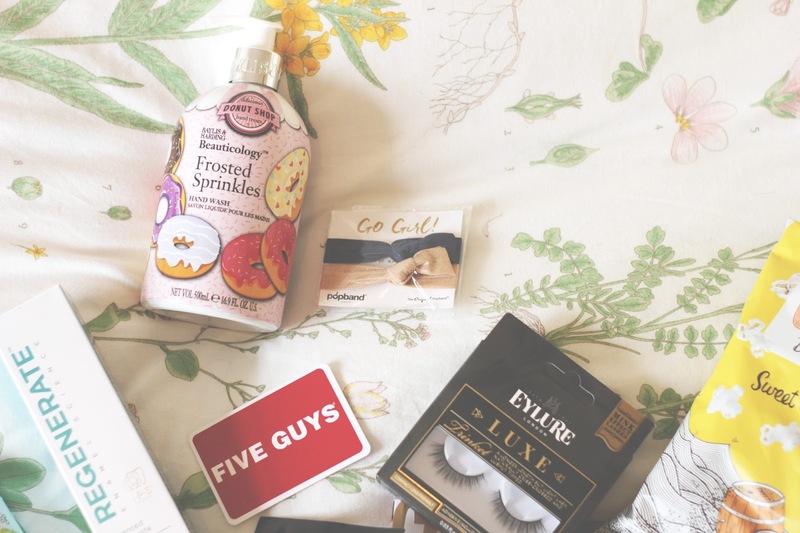 Robs never been to Five guys so I will be treating him to a meal there soon in Manchester.The Baylis & Harding hand wash is in my bathroom already, it is very sweet but smells incredible. Frosted Sprinkles is a real treat and the packing looks fab. Eylure and Elegant Touch were at the awards making us all look incredible with gorgeous lashes and nails. I am a massive fan of Elegant Touch, I wore some of the nails to the awards. Easy to apply and last well, I can confirm this as I wear them to work sometimes and I work in a pet store. Cleaning and delivery take a massive hit on my nails, they last a decent time. I have been on the hunt to try out OGX products but never got round to it, no idea why. I have been missing out big time as they are amazing for my sensitive scalp. From day one my hair felt incredible and soft. My scalp usually will be on fire when I use a new product but this time it felt soothed. I am a massive fan of OGX now and I am so happy to have a couple products from them. The girls at the OGX counter at the awards were so lovely, so kind and chatty. 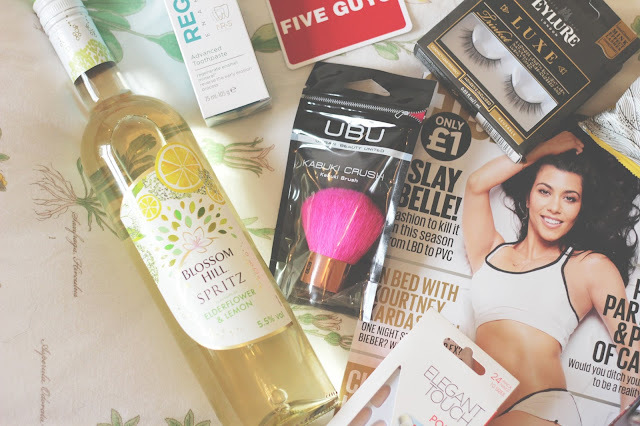 I will have to have this collection in my life from now on and I want to try out some more products from them. 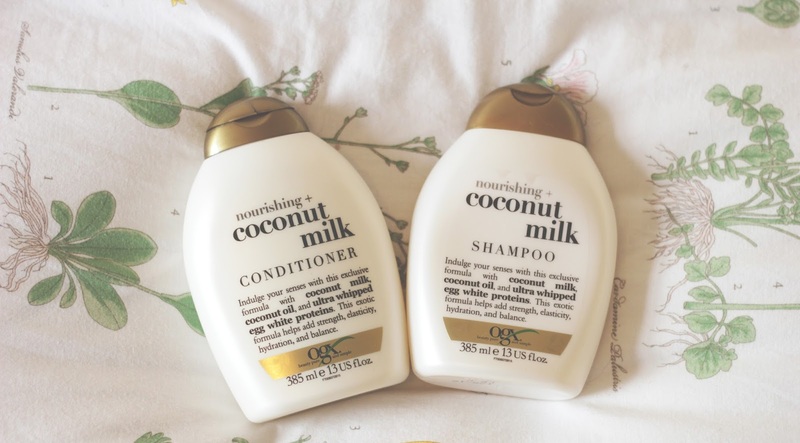 The coconut milk helps to soothe my scalp which is a miracle in itself. Thank you to all the brands and Cosmopolitan Magazine for this goodie bag, it was a night to remember. Read about my night at the awards here. I love OGX packaging, the bottle style is perfect.